Our free interactive learning space for younger visitors. Mudlarks is an interactive space for our younger visitors and their carers, introducing the stories told within the museum in a fun and stimulating environment designed to support children's learning and development from babies up to 8 years old. Free to visit. 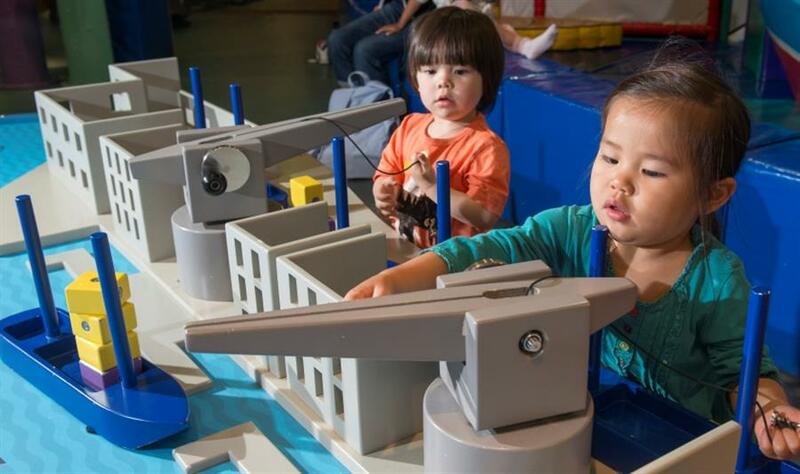 Try cargo loading in Tip the Clipper, explore the Victorian docks in Docklands Playtime or become a builder in our building role-play area using giant bricks and wheelbarrows. This gallery is free but families must have a ticket, which can be obtained either through booking online or by collecting a ticket from the front desk on arrival. Please note that the soft play area is only available for children under the height of 1 metre. Advance bookings open at 7pm each evening for the following day.